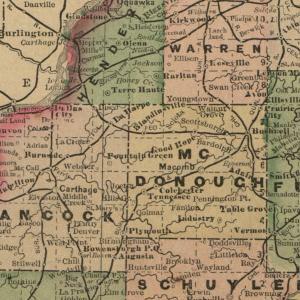 A collection of historical maps from the western Illinois region, including county plat maps. For questions, comments, or more information about this resource, please phone (309) 298-2717 or send email to Library-Archives@wiu.edu. ©2012 Western Illinois University. All Rights Reserved. Collection may be protected by copyright. Do not copy or redistribute in any form without permission.